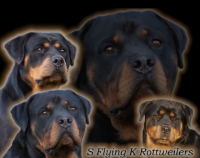 We are a strict Code Of Ethics breeder which means that all of our breeding dogs are health tested, at a minimum, for the following: hips, elbows, heart, and eyes. 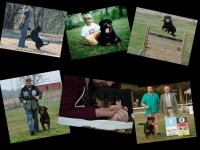 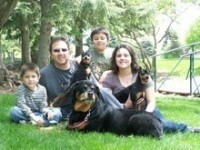 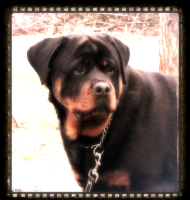 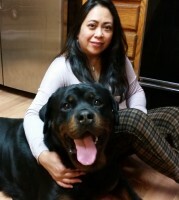 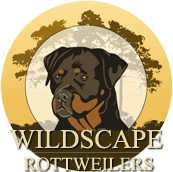 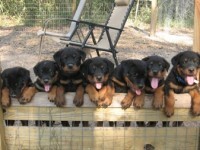 These requirements help ensure we produce healthy, happy Rottweilers. 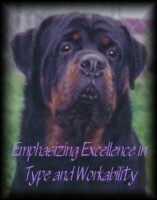 We also strive to maintain quality by ensuring only dogs who have obtained a title are used in our breeding program (ie. 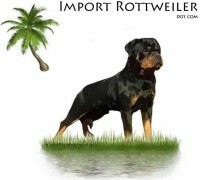 Canadian/ American/UCI International Championship and/or a working title such as CD.